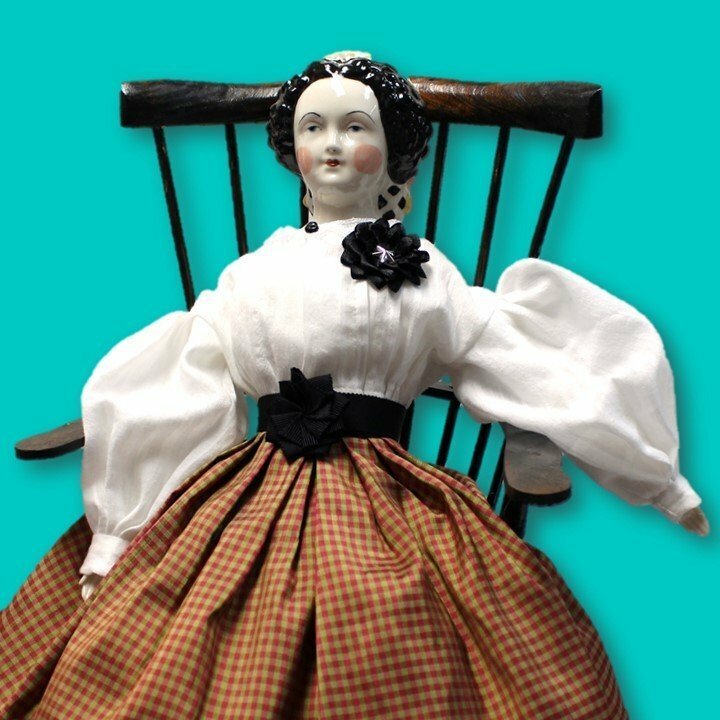 Help your doll honor the deceased with a beautiful little mourning cockade. This lovely mini cockade features a tiny silver star nestled in two layers of satin ribbon. It's approximately 1.5" across. Choose a plain back or a magnetic clasp for the back.